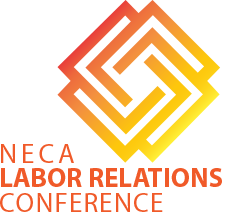 The 2019 National Labor Relations Conference is scheduled for April 15 – 17 at the J. W. Marriott in New Orleans. APRIL 29-30, 2019 • MANDARIN ORIENTAL • WASHINGTON, D.C. This annual meeting is the premiere legislative conference for electrical contractors to hear about the top issues affecting the industry and to meet the leaders who are working to provide real solutions. 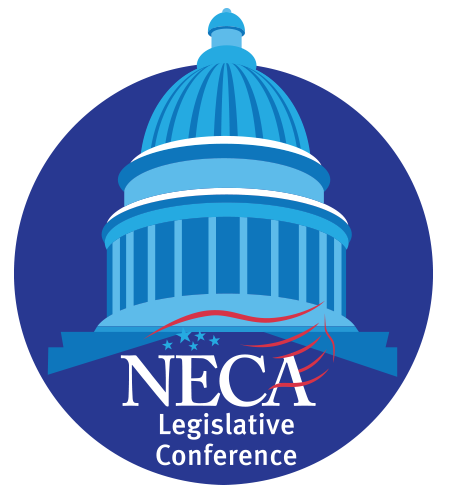 During the Conference, we will use our collective voice to advance NECA’s top legislative issues on behalf of our industry. Participants will take part in issue briefings and engage with Members of Congress and Washington insiders while gaining a first-hand perspective on the legislative process. Join NECA in celebrating Electrical Safety Month by attending the electrical industry’s premier safety conference. NECA provides attendees with the most up-to-date information on regulation, compliance, management techniques and standards development that impact safety and health in the electrical construction industry. All technical sessions are educational in nature and presented by experienced safety professionals.